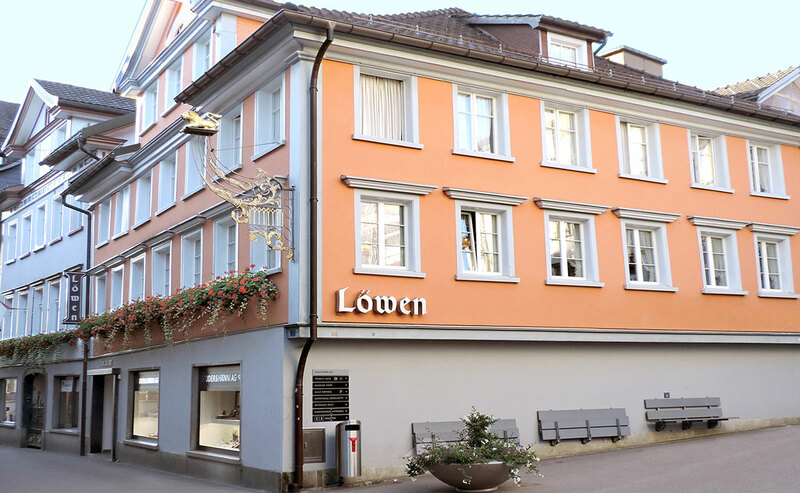 Hotel Löwen is situated in the pedestrian zone, right in the historical centre of Appenzell. It is the ideal starting point for all activities in and around Appenzell. 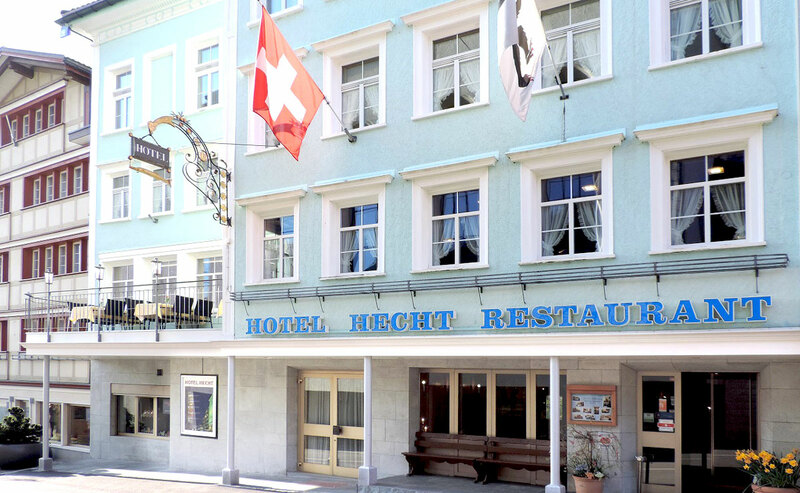 Our partner hotel Romantik Hotel Säntis on the Landsgemeindeplatz has belonged to the Heeb family since 1919. 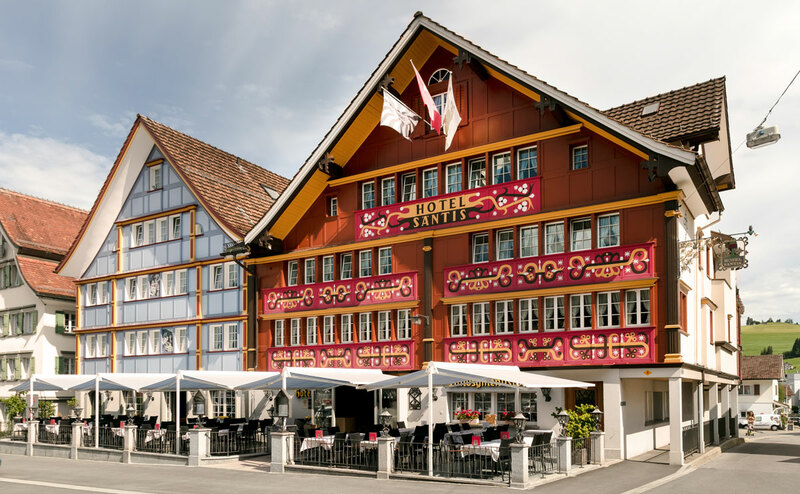 After buying Hotel Hecht in 2002, Hotel Löwen was then added in 2016 completing the trio in the heart of Appenzell. Years of experience and true passion is involved in running Hotel Löwen as a welcoming bed and breakfast. Our most important task each day is making your stay as comfortable and pleasant as possible. We are delighted to welcome you as our guest in Hotel Löwen! 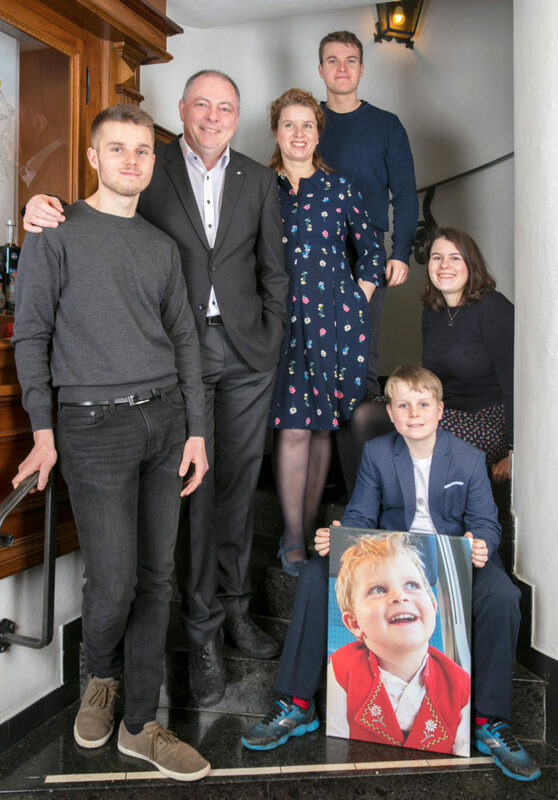 The hotels «Säntis», «Hecht» and «Löwen» successfully work together under the same management. No matter how high your expectations, you are sure to enjoy your stay in one of our three hotels in the heart of Appenzell. Discover the freshly refurbished, lovingly decorated hotel rooms and enjoy our amenities at the heart of the action in Appenzell. In Appenzell you can take advantage of different surroundings to clear your mind and take time to discuss your ideas and issues. Why not merge work and pleasure with a varied programme of interesting activities in and around Appenzell. Our seminar room has capacity for up to 90 participants and can be equipped as you wish. 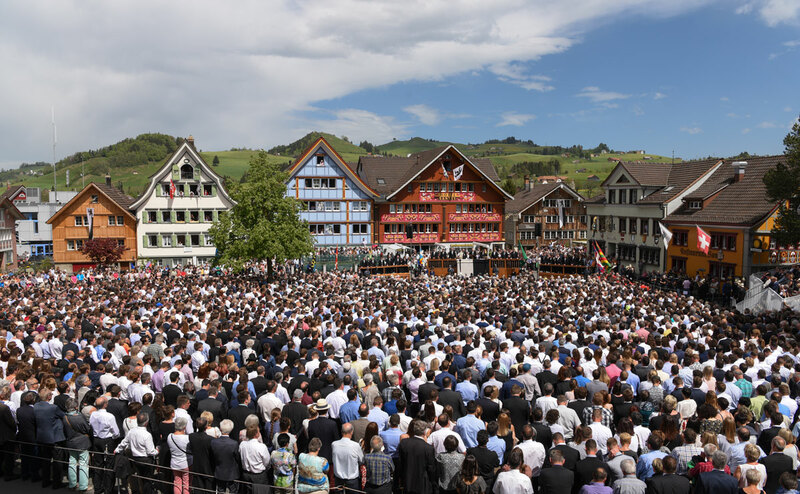 No matter which time of the year you visit Appenzell, you will discover that the enchanting village offers all sorts of events and festivals. Be inspired and find out what’s happening during your stay.